The 1920s and 1930s were a fertile time for experimental music in America. Composers such as Henry Cowell, George Antheil, William Russell—and very soon after, John Cage—explored an expanded palette of sounds as well as methods of musical organization. Percussion ensembles played an important if not always fully acknowledged role in the development of what Cowell and others have termed the American Experimental Tradition; Christopher Shultis, a percussionist who later turned to composition and the study of modern American music in historical context, was not only aware of the importance of percussion for the experimental tradition, but through his music and musicology has situated himself within that tradition. Shultis (b. 1957) came to composition relatively late, after having established himself as a gifted percussionist conversant with a wide repertoire. A professor emeritus of the University of New Mexico, Shultis became director of the percussion program there at age 22, and led the University of New Mexico Percussion Ensemble. 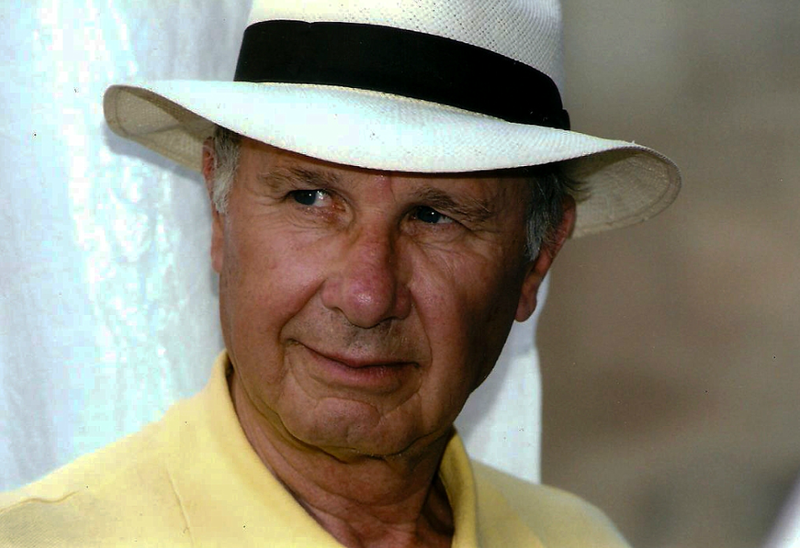 Beyond performance, he contributed to furthering new music through his establishment of a composers’ symposium which took place annually for thirty years. A neck injury which manifested itself in hand pain forced an end to his career as a performer; he stopped performing altogether in 1994 and redirected his energy not only toward composition, but toward American Studies and musicology, in which field he published a book on John Cage—whom he met at the 1988 Composers Symposium--and the roots of American experimental music. Realizations of five of Shultis’s early compositions, dating between 1988 and 1992, appear on the CD An Illusion of Desire [Neuma 450-115]. Two of the five are centered on percussion, while the other three are scored for voice and electronics, theremin, and voice, crotales and piano. All are from what Shultis refers to as his “experimental period” and consequently are informed by his deeply cultivated sense of the sound worlds, gestures and philosophy of American experimentalism. Oneiro (1988/1992), a work for percussion trio, and 4-7-3 (1989/2015), for percussion duet and electronics, continue the tradition of the percussion ensemble as a medium for experimental work concerned with the enrichment of musical timbre. Shultis wrote the two works to be played by himself; the deliberately non-virtuosic demands they place on the performer reflect the physical limitations his injury imposed on his own ability to play. Both pieces are long, slowly unfolding settings for deliberately-spaced events—as much clearings in which sounds can be as they are self-conscious works of art. Oneiro explores the rich variety of sounds made by struck metals and glass, while 4-7-3, which Shultis rewrote in 2015, incorporates into a new performance of piano, crotales, percussion and vibraphone a recording of Shultis on tam-tam that had been made for the work when it was originally written. With their sparse and open textures, both of these works are susceptible to what Shultis in a 2000 interview in Peer Magazine termed “the inclusion of the unintentional outside.” They are consistent with that kind of experimental work that stands at a point of erasure, where the delineation of inside and outside is at least potentially effaced. This is achieved through a permeability of texture wherein the work is organized in such a way that outside sounds are let in, and its relationship to its surroundings becomes part of its internal meaning. Cage’s 4’33” is an extreme example of the permeable work, but whether through Cage’s piece or through the incorporation of non-musical sounds into earlier and subsequent experimental works, permeability has become an established feature of the experimental tradition. Other works on the recording draw on unusual timbres, as does Gesturing Hands for theremin, or explicitly foreground the process of their making. An example of the latter, Metaphysics, for voice and eight tape recorders, builds ever-thickening layers of sound from an ongoing system of accumulation. Starting with Shultis’s speaking voice, it records, replays and records iteratively until the voice seems to become lost in a forest of its own echoes. 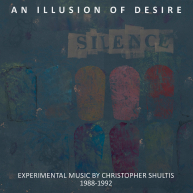 After the late 1990s, Shultis seems to have undergone a turn away from a primary concern with experimentalism and toward more conventional, fully notated compositions. Much of the later work was inspired by his encounters with the natural environment of New Mexico; some of it is collected on the aptly titled CD Devisadero: Music from the New Mexico Wilderness [Navona NV 5849] which appeared in 2011. The recording includes works for orchestra and for piano, as well as songs for soprano. The earliest work, “a little light, in great darkness” for soprano saxophone and woodwind quartet, is dated 1995-2000 and may capture a transitional moment bridging Shultis’s experimental and post-experimental periods. This fourteen-minute-long piece shows a move toward a more conventionally modernist harmonic vocabulary, but retains the open texture of the earlier work, often having individual instruments play single tones bracketed by silences. In its co-situating of experimental and conventional musical properties, “a little light, a great darkness” embodies what Shultis in the 2000 interview called his preference for “the Janus-face-like nature of the world”–a world where seemingly opposed phenomena reveal their mutual dependence. La storia del clarinetto jazz ha dimostrato che esso, dopo il riallineamento intervenuto con il free jazz di Dolphy, non poteva fare a meno delle modulazioni "classiche" e "folkloriche". Quando il jazz europeo negli anni settanta andò oltre le esplorazioni del polistrumentista americano, insinuandosi nelle pieghe più scomposte del clarinetto, l'espressione si arricchì e fu in grado di intercettare un ampio spettro di sentimenti; negli anni in cui Braxton setacciava tutta la gamma degli strumenti a fiato per le sue sperimentazioni, in Europa ci si concentrò sulle potenzialità del clarinetto basso con una serie di protagonisti abili nel farlo suonare come un sassofono trasmutato nelle caratterizzazioni europee: Michael Pilz, Michel Portal, Gianluigi Trovesi, Louis Sclavis armati di tecnica di respirazione e scorta di overtoni, allinearono la potente ricerca che la musica contemporanea stava facendo sugli strumenti (si pensi al Berio della Sequenza IX o al Boulez di Domaines). La componente etnica non era meno importante e per quanto riguarda l'Italia, Gianluigi Trovesi riuscì a trovare un compromesso tra elementi melodici e ritmici provvisti di velocità e sentiment differente: sebbene sia impossibile non attribuirgli un paritetico valore ai sassofoni, nell'ambito del clarinetto e anche del clarinetto basso Trovesi compì un'operazione combinata tra salterelli medievali, folk songs, free jazz e serialità classica. La bellezza del connubio stava nel prendere le quantità giuste degli elementi, nelle dinamiche che accoglievano distensioni e propulsioni ed accedevano gradualmente a climax di rara bellezza, un prisma narrativo con delle estensioni in grado di calamitare qualsiasi tipo di ascoltatore. Gianluigi ci ha fatto assaporare tale esperienza diverse volte, con dei picchi di qualità nelle collaborazioni pastello con il fisarmonicista Gianni Coscia, sviluppate su tutta la famiglia dei clarinetti. Questa qualità, che lo avvicina ad un atipico clarinettista classico, viene riproposta in tutta la sua fragranza in "Birdwatching", ultimo lavoro della pianista israeliana Anat Fort per la Ecm; pur non essendo un disco a suo nome, il suo apporto è fondamentale per tenere sotto scacco l'attenzione, in un momento in cui i lavori che escono da casa Eicher cominciano a prestare il fianco alla monotonia. Impegnato al clarinetto alto, Trovesi traccia linee, decorazioni di suono riflessive (Earth talks), caratterizzazioni dinamiche che sembrano appartenere al mondo compositivo (Not the perfect storm), scomposizioni degli umori che piroettano assoli brucianti (Jumpin' in), approcci melodici sconfinati e condivisi (Milarepa o le Song of Phoenix). Naturalmente anche Anat Fort è al top e il trio con Gary Wang e Roland Schneider è qualcosa che funziona egregiamente. Anche Marco Colonna è un musicista di quelli che vogliono lavorare soprattutto sulle varietà di clarinetto ed è di quelli che si presentano alla comunità musicale nel migliore dei modi: stilisticamente nato sulle prospettive artistiche del BAG Mouvement e della globalizzazione ragionata del jazz, Colonna ha avuto modo di segnalarsi per una poliedrica trattazione della materia musicale (si va dall'improvvisazione da loft statunitense alla variazione di Bach), offrendo agganci ad un modello di combinazione culturale che è stato ben espresso in un concerto in solo effettuato nel quartiere di Centocelle a Roma e trasfuso in Transcultural: un'operazione notevolissima che mette in riga qualsiasi cultore dell'ultimo momento, evidenziando un'inaspettata capacità di omogeneizzare melodie popolari di paesi diversi e di sovrastare il senso delle canzoni di resistenza alla guerra; un volo a planare, teso e affascinante che vi fa incontrare nello spazio di 40 minuti gente accuratamente colpita dal sistema che reagisce secondo la propria identità (dagli operai delle banane di Belafonte rielaborati in Hora alla solitudine della popolazione armena in Variation in Armenian Folk song, dai combattenti di tante guerre in Mukawama ai resistenti di Language extinction). Colonna reimposta un'ideologia politica che da tempo nel jazz sembra cosa oramai estinta. In particolare emerge un nuovo socialismo marxista che si presume sia scevro dai difetti di quello classico, meno ideologico e più realista e soprattutto emerge l'aderenza alle visuali del jazzista cinese, Fred Ho, tenor sassofonista vissuto in America e deceduto nel 2014. Attraverso la musica e dei libri specifici, Ho è stato uno degli ultimi fautori dell'attivismo politico e sociale nel jazz, un personaggio dalla forza vulcanica e dalla voglia di imporre l'arte buona, creativa, come unico mezzo di sostentamento di una coscienza utile per combattere l'impero dilagante delle imperfezioni economiche e sociali. Con un'operazione che richiama analogie con quella italiana di Actis Dato nella costruzione dei pezzi, Ho ha portato nel jazz le proprie radici culturali attraverso l'inserimento (in bands dalla valenza tipicamente jazz) di strumenti tradizionali, di elementi dell'opera cinese e della stessa cultura orientale (tra i quali emerge il ruolo determinante della melodia indigena e delle arti marziali). Non è pleonastico ricordare come esso facesse uso di scale pentatoniche o di propulsioni modali e di come fosse convinto che ci fosse una similitudine ab origine tra la sua cultura, il blues e la musica afro-americana. Minorance è il tributo che Colonna pone in essere nei confronti di Ho, coadiuvato dal batterista Ettore Fioravanti: inequivocabilmente alla ricerca di punti di contatto con la musica del cinese, Minorance riesuma ai clarinetti la suite che Colonna aveva impostato qualche anno fa per il sax baritono (The joyful breath of the dragon) con piccole variazioni di ordine; si lavora su un free jazz teso, che si divide da una parte in quella costante linea melodica che è amara, è presa di posizione, ma che è anche fonte di un'immensa libertà e dall'altra nell'accogliere l'enigma delle pause e delle tecniche estensive. Il mio consiglio è comunque di coprire immediatamente l'ascolto del clarinettista romano tramite il suo sito bandcamp, un posto organizzato in cui potete trovare già una nutrita serie di lavori che dimostrano come applicare un principio in segmenti differenziati dell'improvvisazione: si apprezzeranno le idee tematiche, le relazioni con il comporre, nonché un lavoro di ricerca sullo strumento che ha la pretesa di raggiungere uno spirito superiore perché non si accontenta. A very good friend of mine died. What shall I say? That's not really easy to understand that somebody does not exist anymore. I miss you and I would say something. Great art critic, generous and elegant man, proud of himself with such a concrete creativity to write, in especially, I would say, about many different kinds of art. He loved the material, he was in love with the material! Thats why he had a very close feeling with pottery and sculpture. By the way, I remember his words when once I went to his place for a dinner: "nothing else matters, we make ceramic because it comes from the ground like us. We have just simply to take all of this from the very beginning to give that kind of shape which actually we don't know yet". I've bet, yeah Man you right. I'll keep on doing it! I said. Dear Luciano thanks for our friendship. You're gonna stay on the road as long as possible. Move over for a Damage Case. La composizione è da sempre affascinata dalla prospettiva di affrontare la tematica della "temporalità": sono concetti a volte pensati come statici, altre volte dinamici, che impegnano i lembi che collegano il pensiero alla scrittura. Se genericamente si accetta una teoria del tempo di matrice Einsteniana, legata alla fine alla misurazione attraverso un dispositivo (un'orologio costruito secondo determinate caratteristiche), è anche vero che posizioni più specifiche sulla sua formazione e sulla sua quantificazione emergono da testi letterari o pratiche scientifiche dell'occulto. J. W. Dunne, ingegnere aeronautico e filosofo inglese, scrisse nel 1927 "An experiment with time", un libro in cui si ricavava per estrazione una teoria del tempo chiamata serialismo: basata sulla capacità di donare un significato ai sogni, tale teoria rivoluzionava il concetto del tempo così come lo abbiamo conosciuto, assegnando unità temporale all'esperienza vissuta attraverso il sogno: il dreamtime legava simultaneamente passato, presente e futuro, facendo sparire qualsiasi prospettiva temporale. Una sorta di doppia dimensionalità che negava lo strapotere della coscienza negli stadi di veglia e attribuiva alla sua perdita un marcato segno distintivo che lavora nel sogno. Daniele Ghisi (1984) ha costruito su tale approccio un'efficacissima composizione che, seguendo la propria linea di condotta stilistica, sistema gli esperimenti del libro di Dunne sotto una luce modernissima: composto come installazione per 3 schermi video, ensemble ed elettronica, "An experiment with time" (vedi qui il trailer di 6 minuti) è un progetto multimediale affascinante, che si presenta come oggetto del desiderio di un'istanza futuristica della musica, qualora si ritenga che non ci siano più mezzi stilistici ontologicamente espressivi e bisogna ricorrere all'integrazione con le altri arti; coniuga l'elettronica antica e moderna (il bip-bip saltellante di un Subotnick e la potenza della strumentazione digitale dell'Ircam), la comunicazione (udito e vista sono coordinati per un processo di apprendimento), la fantasia e la creatività del disegno e naturalmente il soggetto letterario. E' una spiegazione personale del concetto temporale frutto di un collage di eventi e domande che materializzano le loro risposte visivamente (l'uso di vocabolari, l'apposizione di quesiti che normalmente si fa sui diari, la comparsa di oggetti che richiamano verbi e predicati); nella versione donata al Divertimento Ensemble (che compie un eccellente lavoro di coordinamento con le altre parti della multimedialità) si assiste al tentativo di conciliare i sogni con il passato o con il futuro premonitore tramite lo scorrere di un anno intero di diario (da gennaio a dicembre), con tre schermi che vivono dimensioni temporali diverse: il centrale quelle annuali (come detto), lo schermo sinistro la dimensione giornaliera, lo schermo destro la dimensione della vita. Il pezzo di 46 minuti è stato già presentato in parecchie manifestazioni, sebbene talvolta venga riprodotto solo con l'ausilio dello schermo centrale (probabilmente per esigenze di sala), ma il gioco sottilmente teso ad aprire il coperchio ad un'estetica dell'esperimento senza basi scientifiche affascina in qualsiasi caso. Un'altro eccellente ingabbiamento del tempo arriva dalla compositrice italiana residente in Francia, Francesca Verunelli (1979) che cosi descrive una delle sue ultime opere, Cinemaolio, presentata nel giugno del 2015 al Centre Pompidou con l'esecuzione del Court-Circuit (vedi qui) "...Un des éléments fondateurs de cette œuvre est la permanence et la persistance dans un temps férocement discret (c’est-à-dire quantifié par des structures rythmiques perceptibles): temps de l’artifice, temps du rythme en tant que manifestation du geste de l’écriture. Et cela jusque dans les passages les plus lents et les plus « vocaux » – car la voix et les sons apparentés à la voix, modifiés et filtrés par les instruments, accentuent par contraste le caractère obsessionnel de cette temporalité quantifiée. Tout est piégé à l’intérieur d’un espace temporel (espace discret et artificiel) qui évolue constamment mais ne se dissout jamais....". E' evidente come qui si sia di fronte ad un concetto illusorio della temporalità, che vive sulla capienza delle strutture compositive: non dargli tregua attraverso la continua costipazione della scrittura. Nelle pieghe del surrealismo André Breton fu colpito dall'enfasi della strada e soprattutto di quella profusa nei padiglioni di fiere o mercati e cercò un moto espressivo che è sapientemente filtrato nelle atmosfere musicali della Verunelli, che piena dei romanzi fantascientifici di H.G. Wells (da l'Homme invisible alla Macchina del tempo), elargisce un indiscreto ricordo delle baracche pluriuso delle fiere e di quel cinema emulativo che vuole replicare i fantasmi dell'epoca impegnando tutti i sensi (in questo caso tentando di interessare anche quelli olfattivi). Strumenti perfettamente calibrati, espressione di una propria personalità, espongono una trama contemporanea avvincente e splendidamente costruita fin dall'esordio: concertati a mò di un tic-tac da orologio, i musicisti dell'Ensemble Court-Circuit sostengono Cinemaolio allo stesso modo con cui verrebbe presentata fantasiosamente una versione musicale della teoria quadrimensionale del tempo (dove esso ha la stessa importanza delle tre dimensioni dello spazio), ciascuno chiarissimo nel debordare in musica uno stadio mentale narrativo, colluso continuamente nella coscienza, atonale e astrattamente poliritmico. C'è una vitalità incredibile in questa partitura. Per la celebrazione dei 90 anni dalla nascita del compositore statunitense Earle Brown (1926-2002) e il legame di questi con Morton Feldman (1926-1987), la Earle Brown Music Foundation sostiene un programma per la promozione delle opere di entrambi oppure del solo Brown. Il prestigioso Grant Program biennale, aperto a solisti ed ensemble, accoglie il progetto del pianista, compositore e didatta Gianni Lenoci, unico italiano e unica proposta solista dell’intero programma. Una proposta ambiziosa che è stata accolta dalla direzione esecutiva della Fondazione con il massimo riguardo, anche per la sua proteiformità avendo superato ampiamente l’aspetto prettamente concertistico previsto dal programma stesso. Ne è risultato un originale contributo che, come nel costume di Lenoci nel suo intero percorso artistico, si muove fra e oltre le categorie e idiomi. In questo illustre specifico progetto Lenoci trova infatti occasione di esprimere, più in generale, il suo orientamento etico ed estetico che tende verso una condizione di liberazione delle musiche da sovrastrutture di significato, nutrendo la loro autoaffermazione come puro suono, come forme spontanee della Natura che semplicemente esistono così come accadono, ‘in leggerezza’ perché in assenza di gravità psicologica e di soggettività. Al termine del recital intitolato “Earle Brown (90+Bach)”, parte integrante dell’intera proposta, tenutosi in prima esecuzione il 26 febbraio scorso (vedi qui), si è chiesto all’Autore stesso di illustrarne alcuni dettagli. GN: L’interesse per Earle Brown nasce al seguito di quello per John Cage e Morton Feldman. E’ un interesse complessivo per quel ‘cenacolo’ di compositori conosciuto come New York School e per il loro rapporto con le arti figurative, plastiche e coreutiche. Mi ero già occupato della musica di Earle Brown una decina d’anni fa quando contattai Thomas Fichter, direttore esecutivo dell’ Earle Brown Foundation, il quale mi mise a disposizione alcune partiture per studio personale. Le partiture mi sembrarono estremamente interessanti e ricche di significato su differenti livelli. In particolare fui colpito dalla struttura modulare e dal processo di notazione di “Twenty-five pages” e dalla molteplicità di implicazioni previste da “December 52”. Fra l’altro Brown (che di formazione era un ingegnere) in anni giovanili era stato un trombettista jazz. Quest’ultimo aspetto rafforzò ulteriormente il mio interesse verso la sua opera. Il mio interesse per J. S. Bach e la musica barocca o prebarocca in generale (parallelamente all’improvvisazione, al free jazz ed alle musiche sperimentali), è stato il punto di partenza per formulare la proposta quando si è presentata l’opportunità di concorrere per l’ Earle Brown / Morton Feldman Grant Program. Ovvero, scatenare un cortocircuito dell’ascolto generato dalla contrapposizione tra Bach e Brown. Lontani l’uno dall’altro sulla linea temporale, ma entrambi accomunati da un’ideale di purezza e astrazione. La mia proposta vincitrice dell’ Earle Brown / Morton Feldman Grant Program (da svilupparsi nell’arco del 2016 e del 2017), prevede un ampio spettro di workshops, conferenze, recitals e la realizzazione di un disco monografico. Il workshop prevede la concertazione e realizzazione di “December 1952”. La conferenza analizza le problematiche e le procedure compositive di Earle Brown in rapporto ai concetti di notazione (flessibile, aperta, indeterminata, tradizionale) ed ai mobiles di Alexander Calder. Sotto questo aspetto sono molto interessanti soprattutto i pezzi per orchestra dove segni, figure e gesti musicali differenti sono dettati estemporaneamente dal direttore sulla base di materiali composti da Brown. Come osservando un mobile di Calder non se ne ha mai la stessa visione poichè esso può ruotare su stesso in vari punti, così anche nella musica di Brown, i singoli moduli danno vita a nuove e differenziate realizzazioni dell’opera. Sottolineo qui il mio apprezzamento per il sano pragmatismo poetico americano. Le composizioni di Brown sono rapide, efficaci, leggere, visibili e trasparenti pur nella loro complessità e molteplicità. Il programma previsto dal Grant è in pieno corso. Ho realizzato Workshop, Conferenze e Concerti presso i Conservatori di Eisenstadt (Austria), Salamanca, Tenerife e Las Palmas (Spagna) e proseguirà presso il Conservatorio “Nino Rota” di Monopoli e l’Università di Bari. Il cd monografico è in via di registrazione (uscirà per la Amirani Contemporary Series nel dicembre 2017). Altre sedi sono interessate e le date sono in via di definizione. Il programma del recital solistico per la stagione 2016 prevede 6 Preludi e Fuga dal Libro I de“Il Clavicembalo ben temperato” di Bach alternati a brani di Earle Brown (“4 Systems”, in una versione per pianoforte e suoni su supporto digitale, e “25 Pages”, in una versione per pianoforte e 24 pianoforti pre-registrati) . C'è un esaltante compromesso tra il coraggio, la voglia di documentazione di un settore e quello che potrebbe essere quasi un tentativo di avanscoperta per una futuristica linea della professione. Qui si parla del nuovo libro di Federico Capitoni sulla "critica musicale": in un momento in cui tutti ne decretano ufficialmente la scomparsa, la kermesse informativa di Capitoni sembra decisamente un tuffo in mare controcorrente. Diviso in 5 capitoli discorsivi, "La critica musicale" (Carocci Editore) è un vademecum di informazioni ed intenzioni; Capitoni tende a rivalutare un mestiere che allo stato attuale non affascina tanto il pubblico che gli operatori, mettendo in evidenza la sua utilità, le differenze con i musicologi, la situazione che si è delineata in Italia attraverso la lente dei giornali, internet o blogs specifici, nonché il ruolo del critico e/o recensore in una rinnovata ottica che ne cambia le carte in tavola. Il sogno di avere tra le mani una professione bella ed importante si scontra oggi con degli invalicabili muri soffocanti, creati da una non accorta spirale intrapresa dalla critica negli ultimi quarant'anni: specie nella critica rock, dovendo soddisfare i gusti deteriorati dei lettori, i critici si sono adeguati all'olocausto, acclarando il degrado musicale e filosofico che è sotto gli occhi di tutti; d'altra parte c'è un'altra considerazione ineludibile che è intervenuta nella critica avveduta, ossia quella della divaricazione tra il sentimento tradizionale imposto nella musica e una serie di approfondimenti accademici che hanno spostato completamente l'asse delle valutazioni del critico, imponendogli di compiere delle valutazioni di particolare difficoltà. In realtà, la critica si è dispersi in mille rivoli non appena si sono create le specializzazioni settoriali e si è creata quella popolare frattura tra accademici stessi in merito alle prospettive della musica, un elemento che ha contribuito a confondere ancor più le acque e a creare una lussuriosa suddivisione tra critici. Come ben descritto nel libro, il critico dovrebbe essere prima di tutto una persona che rifiuta le barriere stilistiche (si deve occupare di fornire giudizi su qualsiasi genere musicale), trovando la sua ragion d'essere nelle maglie specifiche delle discipline di un musicologo, di un filosofo o di un giornalista; egli deve intervenire su una materia variabile, ampia, centrata sull'estetica musicale e sui collegamenti con le discipline circostanti. E' un'attività impegnativa che non trova oggi il favore nè dei musicologi né dei filosofi, in un periodo in cui anch'essi sono in difficoltà: si capisce perché la stragrande maggioranza di essi sia stata poco coinvolta da esperienze giornalistiche, preferendo la maggior tranquillità delle sedi accademiche, esposti com'erano ad un fuoco indiscriminato e ad un'incerta realizzazione economica. La verità è che il critico (che Capitoni ritiene dovrebbe cambiar anche nome, proponendosi come un "melosofo") è qualcosa che non è carne né pesce, la sua autorità deriva da giudizi condivisi sempre in parte e percepiti come soggettivi. Ma senza dubbio, come fatto notare, esistono anche aree di giudizio oggettivabili, in presenza delle quali sia possibile far convergere le sensazioni ricavate dall'ascolto, a patto che la formazione e l'esperienza sia stata fatta bene e vengano assecondate le tendenze intelligenti della musica. L'oggetto dell'attività di un critico deve essere rivolto continuamente all'equilibrio valutativo, lavorando sulla storia, sugli indirizzi dei contenuti emotivi, sull'accoglimento di un parallelo di varia natura con le altre arti. Al riguardo i campi d'indagine sono vasti ed interessanti e perciò giustamente Capitoni ritiene che non tutti possano essere melosofi, sebbene il riconoscimento di queste qualità non si capisce chi lo debba fare. Molto spazio viene dedicato all'informazione musicale rappresentativa dei principali mezzi di comunicazione: prescindendo dalla geografia politica della critica nel resto del mondo, Capitoni passa in rassegna molte delle manifestazioni musicali profuse in Italia, i principali giornali che di fatto hanno tenuto banco nell'informazione musicale, l'attuale risicato poker di attori restanti nel circuito: l'autore evidenzia poco la parte "resistente" dell'informativa che si trova non solo nelle preziose istituzioni preposte (etichette discografiche, direzione di manifestazioni all'uopo) ma anche sui giornali, ormai dirottati solo sul web, che propongono valide soluzioni del tutto sconosciute per la massa, quelle testate di "nicchia" che sono anche il frutto di una specializzazione della musica non auspicata da Capitoni: nonostante sia sorprendente un'acida replica effettuata verso il pensiero valutativo del critico rock Bertoncelli, nulla viene detto in quei campi in cui la qualità della musica e le prospettive di un sua proficua realizzazione critica si possono compiere: siamo proprio in pochi ad ascoltare l'improvvisazione non idiomatica o la musica classica contemporanea? Inoltre, siamo sicuri che liberare troppa semplicità nel critico musicale sia un buon veicolo per la comunicazione ed eviti i rischi di un condizionamento? Siamo sicuri che le interviste, che piacciono tanti ai lettori inconsapevoli, provochino un'effettiva espansione della coscienza critica e non siano solo un modo per cronicizzare un'artista? Le questioni intraprese da Capitoni nel suo saggio permettono comunque di individuare un futuro e al tempo stesso rivelano un nobile e celato tentativo di proselitismo, una sorta di amo gettato in mare per vedere se l'argomento suscita interesse comune: se nell'ambito giornalistico le realtà critiche create con mezzi specifici sono ancora embrionali (si pensi alla nascita dei blogs interni al giornale letto in rete, dove non c'è tutta la problematica relativa allo spazio e alla pubblicità), i freelance hanno da tempo aperto dei blogs strutturati in funzione degli argomenti da porre che, in alcuni casi, non sono solo un pozzo di conoscenze settoriali, ma anche un modo per sopperire alla mancanza della critica buona. La soluzione del ritorno ad una critica "realista" è auspicabile, ma a patto che gli organi che ruotano intorno alla musica ne facciano comprendere il vero valore: è impossibile ripristinare una dignità del critico/recensore se non c'è un sistema che ne riconosca le qualità e sia consapevole che è necessario un salario per l'attività svolta. Allo stato attuale i conti si fanno purtroppo solo con il consenso e pregiudicano un qualsiasi sviluppo della professione, che qualora organizzata anche imprenditorialmente avrebbe solo il supporto della pubblicità (la quale certamente non si interessa certamente dell'eticità e del valore della testata); caso contrario c'è solo l'apporto economico dei lettori come strada alternativa (peraltro compresso dalla gratuità della maggior parte dei servizi intellettuali offerti sul web). Inoltre è sicuramente condivisibile l'aggiornamento del critico ai tempi odierni mediante un superamento delle attuali tecniche per pubblicare un giudizio (oggi tipicamente la scrittura) per accostarsi alla problematica della segnalazione video, del grafico, del carattere letterario dello scritto o della multimedialità, tutti temi che Capitoni sviluppa con ottima fantasia visionaria. Viaggi ed indagini nei reparti "bassi"
Le esperienze improvvisative del binomio Mike Nord-Georg Hofmann (rispettivamente chitarra elettrica e percussioni) lasciano sempre la fondata sensazione che il regime di regole armoniche fissato dall'Occidente parcheggi da tutt'altra parte: lasciar parlare gli strumenti significa lasciare andare le linee melodiche, perdere l'attitudine a catturarle in uno schema e cercare di proiettare i suoni e la loro carica spirituale. I pezzi di arte improvvisativa fin qui creati dai due musicisti segnalano una ricerca costante nell'impostazione di un concetto di libertà più ampio di quello esclusivamente musicale. "Tree wind & flowers" raccoglie una specifica direzionalità del duo, imbastita con il flautista svizzero Andreas Stahel, uno splendido e sottovalutato musicista che da anni combatte nei quartieri che sprigionano risonanze e tendenze post-moderne (minimalisti e modulisti); Stahel viaggia nei territori subdoli ed esoterici della famiglia dei flauti ed è artefice di una lunga attitudine prestata al flauto contrabbasso: è una personalità completa artisticamente quella di Stahel, che spazia dall'impronta contemporanea fino all'overtone singing, caratterizzando le funzioni dell'ambiente sonoro, anche se in questo trio Stahel vira decisamente sul lato ritualistico dei suoni. In "Tree wind & flowers" si assiste ad una forma del tutto speciale di tessitura che sorvola dal punto di vista emotivo alcune configurazioni del passato, prestandosi ad un loro approfondimento: come anche sottolineato da Nord, ci si appresta a ritrovare il jungle sound di Miles Davis con le configurazioni produttive di Teo Macero, ma anche i cerimoniali combinati nelle arti del villaggio (l'Art Ensemble of Chicago si fonde nel canto mongolo); nessun particolare virtuosismo è richiesto, solo una piena aderenza al climax. In tal senso Nord è un trasformista perfetto, dal momento che spesso la sua chitarra elettrica prende le sembianze di un basso profondo o viene ridotta, attraverso il tocco sintetizzato al computer, ad un oscillatore di frequenza oppure lambisce territori programmatici secondo uno stile consolidato facendo il verso a Frisell o ad un chitarrista prog. Dal canto suo Hofmann è una macchina mistica che fa di tutto per creare il collante con i suoi partners attraverso un drumming esteticamente rivolto ad una stessa gamma di configurazioni. Gli oltre 11 minuti di (The people of) Ayotzinapa sono di una bellezza adamantina poiché non hanno solo un adeguato contenuto disponibile per una ipotetica narrazione degli eventi accaduti in Messico ma soprattutto perché impostano un "canto" della natura circostante, come se le montagne o i fiumi potessero parlare attraverso la musica e dare informazioni: ambiente ricreato ad arte, il panorama sonoro è qualcosa che ha a che fare con il senso dell'imminente, uno spiccato senso cinematografo (a proposito dell'argomento, pensavo a Peter Weir e al suo corrispondente film Picnic at Hanging rock, in cui l'ispirazione fu un dipinto impressionista di Frederick McCubbin); in Emergence, poi, è una rivolta silenziosa ed interiore l'oggetto del pericolo incombente. Mettere assieme venti liberi e fiori, significa evidenziare le incongruenze della nostra esistenza che da una parte ci assicura una meravigliosa esperienza di vita e dall'altra nasconde intatte le sue insidie. Il cd è registrato parte live, parte in studio tra la Svizzera e l'Oregon (vedi qui un loro concerto al Capital Community Television). A Tel Aviv il batterista Ehran Elisha ha tenuto a battesimo una nuova e promettente scena israeliana dell'improvvisazione: giovani musicisti come il polistrumentista Yoni Silver, il sassofonista Yoni Kretzmer, il contrabbassista Nadav Masel, il chitarrista Ido Bukelman hanno tutte le carte in regola per esportare un efficacissimo flusso free jazz esteticamente valido e legato agli splendori statunitensi, da Ornette Coleman a Roy Campbell. Aggiungete a questi nomi quelli di questo trio immacolato per la registrazione del primo cd alla Leo: si tratta del contrabbassista Shay Hazan, del batterista Nir Sabag e del suo leader, il clarinettista basso, Ziv Taubenfeld, che nel 2013 ha vinto un contest destinato ai talenti jazzistici provenienti dai conservatori nord europei. Taubenfeld è parte di un'espressione libera, metà jazz metà libera improvvisazione, che ha avuto modo di materializzarsi in alcune formazioni riunite dallo stesso Elisha (vedi qui un'ottima esibizione al The Hanut nel 2013 in trio con Masel), nonché tramite la partecipazione alle esperienze meno sovversive del The Chillin' 4tet e del Kuhn-Fu quartet. In casa Feigin si sa d'altronde che l'amore per le proposte naif ed intrise nella libertà più sincera sono le benvenute e Taubenfeld (classe 1986), che in Olanda sta avendo l'apprezzamento anche della vecchia guardia jazzistica, costituisce sicuramente motivo d'interesse (sulla rete potete trovare un duetto con Bennink). Ci si aspetterebbe qualche sconfinamento genetico in terra d'Israele, ma in realtà ci si trova di fronte ad una personalità che al momento non permette di poter caratterizzare un suono con radici etniche, per quello che sembra invece, in pienezza d'intenti, un esercizio di improvvisazione europeo per la parte senza idioma. D'altronde chi conosce la lezione dell'improvvisazione non idiomatica, sa che i labirinti delle idee libere non escludono nulla e soprattutto filtrano quasi naturalmente un'ascendenza orientale; di questo Taubenfeld potrebbe già dare prova specifica. Di stanza ad Amsterdam, il trio di "Bones" è una registrazione fatta in una camera preliminare di un concerto e riflette la capacità di Taubenfeld di azzerare i preconcetti su un certo tipo di sonorità del clarinetto basso, suo attuale ed unico strumento utilizzato; qui, in mezzo ad una calda e soffusa tappezzeria ritmica (che non manca di mostrare sporadicamente le sue ipnoticità), Taubenfeld esegue la parte del libero esploratore di timbri. Tanto per schiarirci le idee, si tratta di un'esplorazione diversa da quella profusa da molti improvvisatori al clarinetto basso (l'onda temporale accoglie Braxton fino ad arrivare a Stetson); da parte del giovane israeliano non c'è nessuna intenzione di farlo diventare violento, sistematicamente troppo rough o ipersaturo; c'è invece la forma del dialogo, che si instaura con differenti soluzioni adottate mediante un uso semplice ma viscerale della tecnica estensiva: lo scopo è semplicemente puntellare una tranquilla e gioviale considerazione, lavorare su una mediamente loquace o cercare di ricalcare intarsi di melodie del parlato (nell'iniziale lenta Under the Ab Tree si incrociano cellule di Night in Tunisia e S.Thomas); è un gusto quasi esotico dello star bene e della libertà espressiva quello che Bones certifica e che alla fine porta alla convinzione di avere tra le mani un'ottima iniziazione, per costruire un futuro comunicativo ancora più brillante. Le dichiarazioni del compositore francese Philippe Manoury (1952) hanno sovente riguardato la crisi della musica contemporanea, l'organizzazione spesso infelice della gestione amministrativa e gli interventi sulle modalità di fruizione. Fornite con scritti mirati, le affermazioni di Manoury sono altamente condivisibili: approvo ogni virgola di quello che ha detto su rapporti tra politica ed arte, sull'importanza della creazione di istituzioni musicali specifiche per la musica e quella contemporanea in particolare, sulla necessità di una progettazione musicale che parta dalla scuola, sull'individuazione di nuovi spazi musicali. Manoury fa parte di quella generazione di compositori che si è occupata di fornire degli sviluppi al movimento contemporaneo di Cage, Stockhausen, Boulez, Berio e così via, in anni in cui si solidificano nuove prospettive provenienti dalle intuizioni di Lachenmann e Sciarrino, ma che non parlano a sufficienza delle innovazioni dei compositori francesi. Fortemente attaccato all'ideologia di Boulez, Manoury emerse con un gran pezzo di piano nel 1974 intitolato Crytophonos, che era un ulteriore monumento-omaggio al serialismo di Boulez e Barraqué. Ma i grappoli e gli ostinato prestati su una nota ben presto lasciarono il posto alla passione per l'elettronica, che il francese ebbe modo di concretizzare in maniera fattiva dopo la sua entrata in IRCAM: sposando la stessa filosofia del Boulez della sofisticazione elettroacustica, Manoury intraprese un percorso profondo nello studio delle interazioni tra strumenti e software musicali agenti in tempo reale, dando a vita a lunghe elucubrazioni sviluppate con il fine di mantenere e migliorare l'assistenza all'interpretazione e alla composizione: dopo Zeitlauf (per coro, ensemble e dispositivi elettronici real time con suoni sintetizzati fissati su supporto), immersa tra le stranezze del Buchla e di un glabro percussionismo, Manoury si introdusse nei regni enigmatici del caos con complessi processi di trasformazione musicale: coadiavuto dall'inventore del Max, Miller Puckette, Manoury diede vita al cosiddetto ciclo sonico (Sonus ex machina) che comprese Jupiter (per flauto ed elettronica), Pluton (piano midi ed elettronica), Neptune (percussioni ed el.) e La Partition du ciel et de l'Enfer (orchestra ed elettr. ); per Pluton fu necessario il supporto del 4X, un elaboratore piuttosto cospicuo di dimensioni, collegato ad un piano in funzione midi, in grado di giudicare l'operato del musicista attraverso la valutazione delle dinamiche, del tocco e dei tempi utilizzati; una procedura che influenzava lo svolgimento dell'esecuzione stessa dal momento che real time veniva provocato un ritorno di informazione (non percepibile visivamente nemmeno da un'ascoltatore presente in sala). In Neptune le tre percussioni interattive ripartono dalle magnifiche intuizioni di Le Livre des claviers, per creare quel magnetico gioco tra vibrafono, marimbe e tam-tam. Nonostante qualcuno oggi giudichi il live electronics come un'esperienza di fatto archiviata, è necessario però ammettere che queste composizioni (meritevoli di stare a fianco a quelle corrispondenti di Boulez) sono state dei punti di partenza imprescindibili per nuove analisi sulla composizione. I novanta, comunque, maturano l'interesse del compositore per la musica da camera (che privilegia il lied astratto), per le opere, il teatro e per le grandi formazioni (in cui strumenti come clarinetti bassi o marimbe, mal ricalcati nella storica struttura gerarchica dell'orchestra, fanno un figurone): il culmine arriva con Sound and Fury nel 1999 affidata all'orchestra sinfonica di Chicago e di Cleveland con una particolare cura posta alla posizione dei musicisti e alla spazializzazione degli effetti sonori. Nonostante l'alta qualità compositiva, l'impossibilità di poter affrontare una dignitosa carriera dal punto di vista economico, costringerà Manoury ad offrire le sue competenze a San Diego nel centro specializzato di La Jolla, un evento che stranamente diventa un catalizzatore di interesse: specie in Germania le sue composizioni diventano molto programmate e spingono il compositore nel 2012 a ritornare in Francia e scegliere Strasburgo come residenza strategica. In questo periodo, tra le altre cose, Manoury scrive due nuove sonate per piano e soprattutto tre spettacolari ed atmosferici quartetti per archi (Stringendo, Tensio e Meleconlia), che da una parte sfruttano quell'alea di suggestione sonora orizzontale presente nelle composizioni elettroacustiche, dall'altra trasferiscono nella scrittura per archi un peso seriale del tutto speciale, sistemato in varie modalità ritmiche sugli estremi sonori degli strumenti. Le strutture coltivano anche quelle saturazioni di suono che si allineano allo stadio abbandonato su Numéro Huit nell'80. In ossequio all'interesse precipuo verso il gioco delle relazioni tra elementi Manoury ha lavorato molto anche sul fattore tempo della composizione, apprezzando sia gli spazi brevi che quelli lunghi di essa: al riguardo ha scritto anche una grammatica musicale generativa che ha reso visibile nella partitura di In Situ, in cui incastonare in una struttura musicale polivalente più eventi sonori (un motivo musicale, un pattern sonoro, una morfologia, un gesto) che si incontrano in un ordine stabilito. Lo scopo è quello di creare sequenze eterogenee di partitura, tessiture che gradatamente possano trasformare l'umore della composizione in corso d'opera. N,B, Sulla rete sono disponibili, grazie a generosi benefattori, anche alcune importanti composizioni non registrate su supporto (tra cui anche quelle citate da me in questo articolo). Il primo incontro con Keith Emerson avvenne dopo l'innamoramento subito dal fascino di una sigla di un famoso programma televisivo (Odeon): comprai il 45 giri in cui figurava l'oggetto del desiderio, l'Honky Tonk Train Blues di Meade Lux Lewis a cui dedicai ore di esercitazione pratica al piano per imparare la parte alla mano sinistra (uno spostamento di accordo ripetuto) e cercare la coordinazione con il solismo della mano destra (spazi ampissimi della tastiera). Era il 1976, ero un ragazzino ancora da svezzare musicalmente parlando, ma rimase lo stimolo, utile in età giovanile per scoprire il celebre pianista rock e il suo trio. b) come in quasi la totalità delle carriere delle stars del rock progressive si può enucleare un picco artistico: in quella del trio (e per trascinamento delle rispettive carriere solistiche dopo lo scioglimento) Emerson-Lake-Palmer questo processo avvenne piuttosto rapidamente, così come veloce sarà lo scioglimento: la magia dell'omonimo album del 1970 in cui nacque effettivamente un sound ascrivibile al gruppo e per cui è facile immergersi in potenti soluzioni tra tastiere Moog e sintetizzatori appena concepiti, ritmica pulsante e una vena folk di proprietà di Lake, merita di occupare un posto tra i primi dieci album progressive di tutti i tempi; così come andrebbe rivalutato il progetto live su Mussorgsky, che viveva della scia creativa del momento. Già Tarkus faceva intravedere un abbassamento della qualità con la presentazione di stereotipi e alcuni evidenti narcisismi. Il recupero in positivo, ma non del tutto omogeneo, fu effettuato in Trilogy e Brain Salad Surgery, con un'appendice nei Works in due volumi che, di fatto, presentavano, filosofie solistiche e non di gruppo. Sulle brevi reunion solo un messaggio di normalizzazione poteva essere recepito per artisti che avevano cambiato voce e prospettive strumentali. E' una generazione di artisti dalla forte personalità che sta morendo. Solitude standing. E' un passo importante quello che il Quatuor Tana ha affrontato registrando la miglior produzione della saturazione musicale contemporanea francese agli archi: Antoine Maisonhaute (viol. ), Ivan Lebrun (viol. ), Maxime Desert (alto), Jeanne Maisonhaute (violonc.) effettuano un salto nelle province estreme della musica dedicandosi ai suoi nuovi sviluppi, quelli che hanno tipicamente fissato un ulteriore standard nell'esecuzione dei brani. Riguardo al fenomeno della "saturazione" è opportuno sottolineare come l'esecuzione relativa ad esso abbia differenti canoni di difficoltà, non riscontrabili solo in un rapporto stretto tra tecniche estensive, gestualità e ritorno del suono: più che una risoluta destrezza nel raggiungere inarrivabili dettagli della partitura, è necessario saper far ringhiare il proprio strumento, provocare un effetto energetico spingendo sull'acceleratore di alcune tecniche non convenzionali. Per questo è cosa diversa sia da un quartetto di Ferneyhough che da quello di un Manoury. Pubblicato sotto Paraty (gruppo Harmonia Mundi) "Shadows" raccoglie il Tracés d'ombres di Franck Bedrossian, In Vivo e il secondo quartetto per archi di Raphael Cendo e il Crescent scratches di Yann Robin, in un arco di tempo che va dal 2007 al 2013 e lo fa nel migliore dei modi: pur essendo tutte le composizioni basate sullo stesso principio, il Tana fa emergere le diversità delle espressioni dei loro autori; se Bedrossian trasferisce empaticamente quel potenziale "mostruoso" dell'eccesso sonoro a cui ha dato anche un significativo valore estetico, Cendo esalta la scrittura in modo da impostare una subdola retata di suoni da caverna di pipistrelli in movimento; mentre lo stile di Robin è di una potenza sonora inaudita, qualcosa che può simulare macchine da corsa roboanti in una pista. Le operazioni poste sugli archi sono probabilmente uno dei posti migliori per valutare l'impatto saturazionale ed aprono fervide immagini relazionali, potenti volani di comunicazione: frutto di intuizioni che hanno approfondito alcuni aspetti della ricerca effettuata da Lachenmann, Manoury e Romitelli, i tre compositori della saturazione qui citati hanno oramai acquisito un posto nuovo nella musica contemporanea come enfants terribles della corrente spettralista. Se questa derivazione, frutto di un commento del loro maestro Manoury, è suscettibile di approfondimento, poiché nella disciplina della saturazione il contributo dello spettro è più contenuto e più forte invece è il ricorso agli effetti acustici, è anche vero che pur di terribile sostanza creativa si tratta. E' un modo per verificare cosa succede ai limiti dell'eccesso del suono, quando è più facile perdere il controllo di esso, allo stesso modo con cui ci si perde nelle derivazioni di una chitarra rock distorta o di un'orchestra lasciata in pieno caos evolutivo. Gli argomenti di Bedrossian, Robin e Cendo hanno pescato in quel sentiment orizzontale sparso negli ingranaggi dei quartetti contemporanei, qualcosa che parte dagli insegnamenti degli spettralisti e di Manoury, ma che poi annulla di fatto qualsiasi spazio per la colorazione. Anzi, ne hanno creato uno solo di colore, pittoricamente inqualificabile, compatto e denso, a cui hanno agganciato il rinnovo estetico della musica e la condivisione emotiva di qualsiasi genere musicale a loro affine. A proposito di questo nuovo linguaggio, che allo stato attuale si presenta per alcuni autori come una forzatura, una vera e propria imposizione comunicativa basata su una forte impronta fornita dalla personalità del compositore, mi sembra molto pertinente quanto detto dal compositore e musicologo Castanet, che ne individua invece un senso rinfrancante, molto lontano dalla retorica dell'oggi musicale: "....Au coeur de l'échange aveugle (du marché de la surdité), on prie en secret pour que l'art musical puisse encore jouir du potential du choc, de la surprise, de l'éphémère, de l'ineffable, de l'instable, de l'hypothétique prise de risque sans cesse menée sur ce fil d'Ariane qui s'affranchit de tout e qui ne devrait rien pardonner....au meme titre que la prise de parole du rap ou que le graph du hip hop désormais légendaires, la musique, et surtout celle d'expression "contemporaine", devrait ainsi exister, respirer, douter, oser, surprendre, revendiquer, choquer, questionner, déchirer, s'exterioriser ...et non ronronner, se normaliser, se confondre avec la muzak de bas étage....."
Pierre Albert Castanet in Regards sur la premiere décennie du XXI° siécle, in Composer au XXI° siécle, Sophie Stévance, Vrin 2010. L'improvvisazione libera europea è tecnicamente scomponibile in circa 3 generazioni di musicisti con dimensione ventennale: se ci riferiamo al modello tedesco si comprende come nella prima fase generazionale, quella storica del giovane Brotzmann o di Van Schlippenbach, fortissima fosse anche la diversità di stile: nella prima ondata del kaputt-playing (un'invenzione terminologica di Peter Kowald), venne frantumata la linea melodica, ci si specchiò sovente in un energico muro di suono tendente al noise e si cavalcò la multifonia e la percussività degli strumenti. Tuttavia di fronte alle distorsioni delle strutture c'erano anche alcuni musicisti che impostavano le loro carriere usufruendo di elementi della originaria tensione del jazz americano: sassofonisti come Ernst Ludwig Petrowsky, percussionisti come Gunter Sommer o pianisti come Ulrich Gumpert, fecero di tutto per far rientrare dalla porta di servizio un benché minimo strato melodico e, mediando ai confini delle estremità raggiunte, posero attenzione anche ai temi del jazz come lo si conosceva fino ad allora; invero si potrebbe affermare che lo sviluppo tematico e melodico non sia mai andato via e le generazioni successive di musicisti lo hanno affrontato a viso aperto cercando spesso di produrre personali deviazioni. Comunque quando l'intensità venne meno, ci fu sempre più l'esigenza di virare i progetti verso la scoperta di micro-mondi dell'improvvisazione per migliorarne le capacità intellettuali in un momento in cui lo stimolo ad abbracciare le tecniche della musica contemporanea classica veniva sempre più preordinato: la creazione di nuova cameralità o di aggregati orchestrali confusi nell'ibridismo, ristabilì e rinnovò la dignità di una linea melodica quantunque rielaborata. Personalità come Gebhard Ullmann e Achim Kaufmann rispondono bene alle variazioni di opinione che jazzisti ed improvvisatori rimasticarono tra gli anni ottanta e novanta. Gebhard Ullmann, dopo aver incarnato, assieme all'eccellente chitarrista Andreas Willers, una versione tedesca di un ipotetico duo Brecker-Frisell (con Rava, Lillich e Schauble, Ulmann in quartetto incise un ottimo LP nel 1989 contribuendo anche alla vena melodico-lirica di Enrico), stabilì definitivamente il suo jazz intricato, pieno di complessità poliritmica e di textures, nell'esperienza di Tà Lam; Ullmann gioca sui rapporti misteriosi della musica, tappa le ali alla gioia ma rende il suono davvero avventuroso: la instant composition del tedesco verrà sperimentata a vari livelli, con strumentazione varia ed organici di dimensioni diverse: un punto di arrivo cruciale è The Big Band Project, una sorta di nuova Wuppertal della tradizione orchestrale, un'operazione che venne incoraggiata anche dal produttore discografico Bonandrini alla Soul Note, ma di eguale importanza è tutta la materia della Basement Research, con formazioni eclettiche e totalmente in linea con atmosfere dense ed un concetto severissimo di improvvisazione all'interno di involucri di composizione. Negli ultimi tempi la scrittura sofisticata ed intricata ha avuto modo di percorrere anche altre strade e i progetti atmosferici a tre con due contrabbassi (Chris Dalgren e Clayton Thomas) o a tre clarinetti (con Jurgen Kupke e Michael Thieke) indagano su una gamma meravigliosa di timbri. Leo Feigin ha tenuto a battesimo l'attività solistica del pianista Achim Kaufmann: studente di Rainer Bruninghaus, su Knives nel 2005 il musicista raggiunse l'equilibrio tra una parte importante dello sviluppo pianistico del jazz (Tristano e Nichols) e la mirabilandia di quello contemporaneo (tra acciaccature e preparazioni), uno splendido astrattismo sonoro che Kaufmann ha elargito a dosi prestabilite nelle formazioni a cui ha partecipato (nei gruppi di Gratkowski e de Joode, con Moore e Van Der Schyff, con Dresser e Eisenstadt). Geode, la collaborazione tra Ullmann e Kaufmann è una dimostrazione di raffinatezza sonora: lavora sulle risonanze, sulle perturbazioni create dalle sistemazioni al piano, sulle palpitazioni ansiolitiche del soffiato non convenzionale; viaggia in diagonale tra accordi e assoli, ma c'è anche un jazz camuffato sotto che, rendendosi presente, spiega le sue origini; è un fantastico ed evoluto ambiente chamber jazz quello si crea con due voci "preparate" che fanno più sostanza di un'orchestra e prestano il fianco ad una musica che non ha mai livelli di risoluzione. Particolarmente stimolante è l'estensione che viene fornita alla giovane cantante Almut Kuhne nel progetto Marbrakeys: l'artista di Dresda (nata nel 1983) è un fenomenale esempio musicale di amplificazione stilistica poiché sembra riduttivo pensare solo a fonti jazzistiche di formazione. Sono climax espressivi che hanno le inflessioni di Patty Waters o di Norma Winstone, ma dove ci sono pezzi di canto operistico, tanta sostanza contemporanea, incomprensibili formazioni che stanno tra la Nyro e la Bush e punte spettacolari determinate da una vocalità continuamente in trasformazione, che girano dall'evanescenza all'inquietudine, facendo venire alla memoria anche la Galas dei terribili esordi curati in stile teatralità greca. La Kuhne, già con due validissimi cds all'attivo (Ticho in trio con Schmolling e Arthurs e Silver White Archives, precedente in duo con Ullmann con aggiunta di effetti di elettronica) è una laureata di cattedra jazz al Conservatorio Hanns Eisler di Berlino che reclama immediatamente grande attenzione per via di una maturità già impressionante e per la padronanza con cui si cimenta nelle composizioni di Lachenmann, Nono ed altri autori contemporanei. "Marbrakeys" mette di fronte all'arsenale tensivo della cantante tedesca, l'astrattismo jazzistico di Ullmann e Kaufmann, che diventano fedeli servitori delle evoluzioni della Kuhne: qui si concilia l'impronta frammentata e misteriosa dei due improvvisatori con la parvenza canora fredda della cantante, dando l'impressione di una torbida relazione musicale che da un candido jazz può esplodere in un inferno emotivo. L'importanza del fattore melodico ritorna intatta nel duo Uwe Oberg (piano) e Silke Eberhard (sax alto, clarinetto) di "Turns", in un pantano di citazioni jazzistiche dove si rivela l'amore dei due musicisti verso la riproposizione. Di generazioni contigue (Oberg è del '62, mentre la Eberhard è del '72) si scoprono molte caratteristiche comuni dei due che sembrano voler volgere lo sguardo all'indietro con proprie visuali e dinamiche. La Eberhard, in particolare, allieva di Gumpert, si è messa in luce distillando perfezioni tecniche agli strumenti suonati con diverse formazioni, impostando una catena di omaggi personali (da Ornette Coleman a Eric Dolphy) che la portano molto lontano dal suo maestro, una circostanza che la sassofonista ha evidenziato anche suonando direttamente con lui nella normalizzazione di Peanuts & Vanities, nonché con Dave Burrell in Darlingtonia, rivitalizzazioni innocue ma piacevoli di Charlie Parker ed Duke Ellington. La parte più spinta della Eberhard sembra aver ottenuto proficuità con il batterista svizzero Alex Huber in Singen Sollst Du... in cui si è pienamente manifestata la bravura della Eberhard, una capacità comunicativa molto interessante, non solo conseguenza della forte preparazione professionale: ci sono passaggi che hanno la sua voce, così come Oberg costruisce la sua. E' quindi in queste oasi di combinazioni inaspettate che si cela il segreto di Turns (sentire i 12 minuti di Syndrome/Narrow Window), che risulta un tributo ai Bley e alla Peacock del tutto impostato sulla propria sensibilità artistica e sull'emozione creativa del momento. Se Monk e Schlippenbach sono le ascendenze solistiche di Oberg, Konitz è quello della Eberhard, la quale si colloca nel solco delle nuove sassofoniste dal tono delicato tipo Alexandra Grimal, strette parenti di una sottile dimensione chamber del jazz (con la francese ha anche avuto modo di connettersi attraverso il progetto dei T.E.E. Ensemble). "....I like to say that music prior to 1800 speaks, while subsequent music paints. The former must be understood, since anything which is spoken presupposes understanding, while the latter ... should be felt...."
Ho scelto di proporvi questa frase del grande direttore d'orchestra austriaco scomparso due giorni fa, poiché è summa del pensiero e fonte di un'arguzia millimetrica: Harnoncourt la scrisse in suo testo quando aveva deciso di riaffermare il ruolo della musica antica attraverso un'analisi più consona delle partiture. Sebbene il campo di indagine ha spaziato dal 1500 fino al romanticismo, è il periodo barocco che rimane nella memoria, cesellato nella musica e nei concetti: la prospettiva aperta da Harnoncourt era che tutto il principale patrimonio musicale dell'Occidente andasse rivisto, rilevando attentamente quel periodo di passaggio della storia musicale in cui gli strumenti cominciarono a prevalere sul canto. L'idea del cambiamento di stato da una società "verbale" ad una "pittorica", intervenuta secondo lui dopo la rivoluzione francese, introitava anche la fine di una sorta di disuguaglianze della musica barocca (nell'ordine delle sue articolazioni) e il passaggio all'uguaglianza che Mozart incorporò nelle sue regole. Il lavoro di Harnoncourt si indirizzò sulla valenza estetica di un cambiamento, che in realtà era passibile di essere inquadrato più come un passaggio di consegne, mostrando che la fedeltà operativa nella musica era appagante se scaturiva da una stretta correlazione con la comprensione delle caratteristiche degli ambienti di lavoro: con la fondazione del Concentus Musicus Wien, Harnoncourt dimostrò che i temi dell'autenticità e del rispetto della partitura vanno affrontati con la serenità di saper intravedere un ruolo alle azioni, strumenti e notazioni, rendendo possibili interpretazioni che poi tendono verso una piena rappresentazione dei tempi musicati. L'approccio filologico è l'unico modo per comprendere in pienezza la grandezza della natura delle opere del passato. Nonostante le critiche e le diversità di opinione che ognuno al riguardo può nutrire, resta il fatto che nella pratica d'ascolto Harnoncourt riveste un ruolo fondamentale per tutto il periodo barocco, fornendo un vero e proprio approccio distante da quella famelica omologazione che risucchia in un calderone tutta la musica tonale post-strumentale: personalmente non ho ancora trovato una versione più bella dei Concerti Brandeburghesi* di Bach di quella diretta dall'austriaco, che colma di tempi giusti e colorazioni strumentali, elabora un respiro vitale che non si riesce a trarre da nessun altra interpretazione; così come diversa ed unica è l'elaborazione delle cantate di Bach e della sua Mass in B Minor, in cui anche sulle parti cantate si cerca la forza dell'espressione storica oltre che di quella tecnica. D'altronde in un repertorio come quello barocco in cui Harnoncourt l'ha fatta da padrone nella direzione assieme a pochi altri (quelli che possono vantarsi di stargli alla pari sono solo un Gardiner o un Pinnock), la spontaneità e l'equilibrio del collettivo si è fatta presente anche nell'interpretazione delle Tafelmusik di Telemann o in quella delle opere di Monteverdi, partendo dall'Orfeo ricostruito sugli strumenti originari dell'epoca. Di Monteverdi Harnoncourt aveva una stima immensa poiché nel suo graduare inventori ed utilizzatori, riteneva che egli avesse creato gran parte delle figure musicali che avevano dato vita allo stile barocco (in questo molti musicologi hanno sempre cercato di smentirlo), mentre pensava a Mozart come l'anello logico di Bach, entrambi magnifici compositori che erano stati in grado di raccogliere e sintetizzare le tecniche esistenti, ma con le qualità dell'esser padroni del linguaggio dei loro tempi e di comporre con una profondità che fu poi regalata in pompa magna ai movimenti romantici. Riguardo al periodo romantico, poi, la proposta autentica di Harnoncourt si perse purtroppo nella molteplicità delle interpretazioni subite dalla concorrenza, ma ancora oggi come dimenticare la contagiosa vitalità dei concerti per piano o violino di Schumann? Ho letto da qualche parte che Harnoncourt profetizzava la sua morte come la fine di un'epoca: probabilmente si riferiva alla nostra cultura, quella non drogata degli occidentali, fatta di arte, monumenti, compreso quelli musicali di cui era un minuzioso studioso. E' una riflessione che fa pensare, specie in un momento in cui si sta facendo di tutto negli ambienti colti per addivenire a nuovi principi filologici della musica o per cercare di imporre soluzioni contemporanee per storicità conclamate. *poiché esiste parecchia confusione in materia, dovete dirigervi sulle versioni registrate con il Concentus Musicus Wien per la Teldec Classic nel 1982 e ristampate in due volumi nel 1991 e 2001 come Brandenburg Concertos nos. 1-2-4 e Brandenburg Concertos nos. 3-5-6. Un'altra versione dei concerti che mi sento in dovere di consigliarvi è quella del Collegium Aurum data come Bach: die Brandeburgischen Konzerte, con Gustav Leonhardt e la direzione del violinista Franzjosef Maier per Harmonia Mundi, ristampa eccellente di registrazioni degli anni sessanta, con versioni ancora più rallentate, sempre effettuate su strumenti originali.